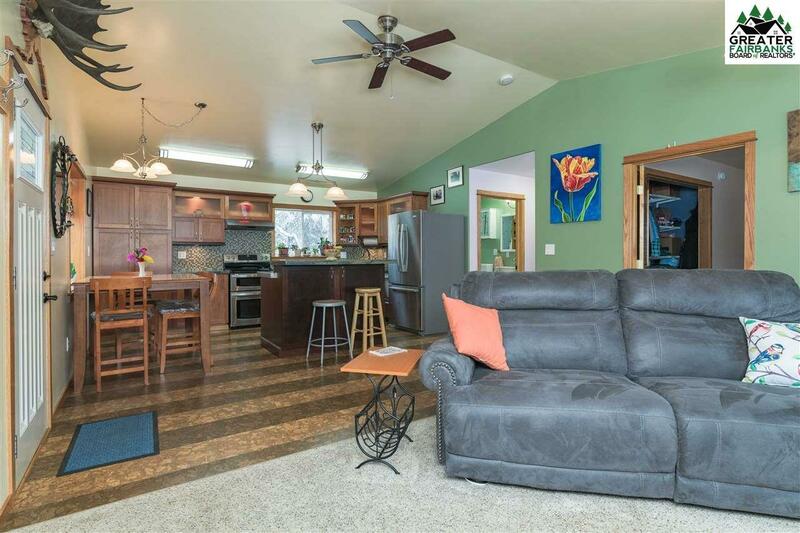 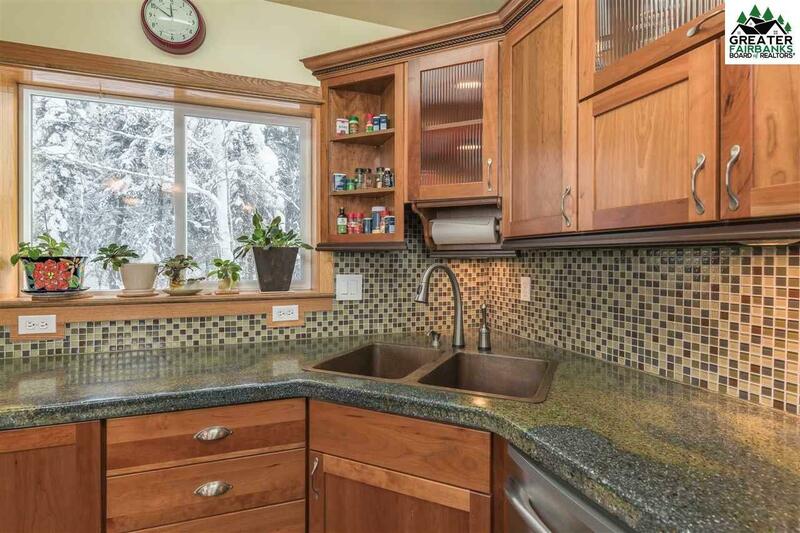 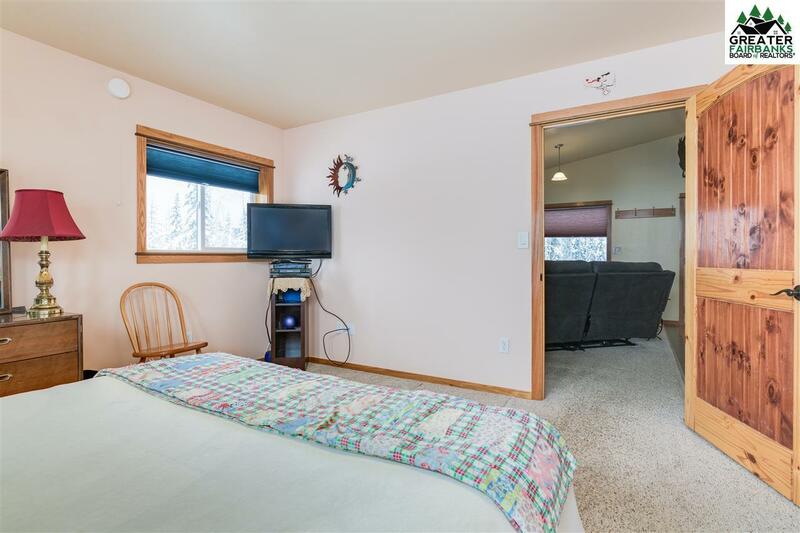 Want to experience the peacefulness you can find being a few minutes out of town? 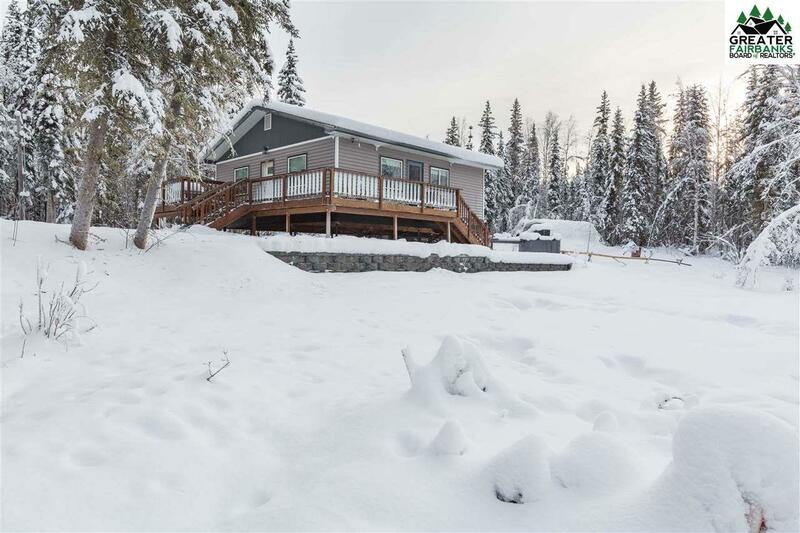 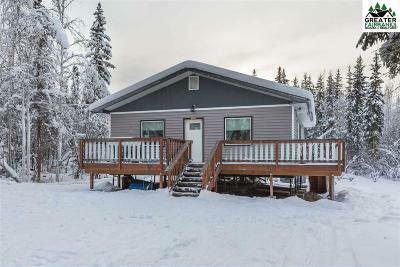 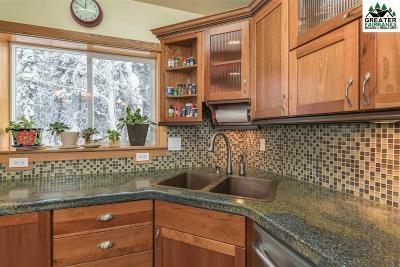 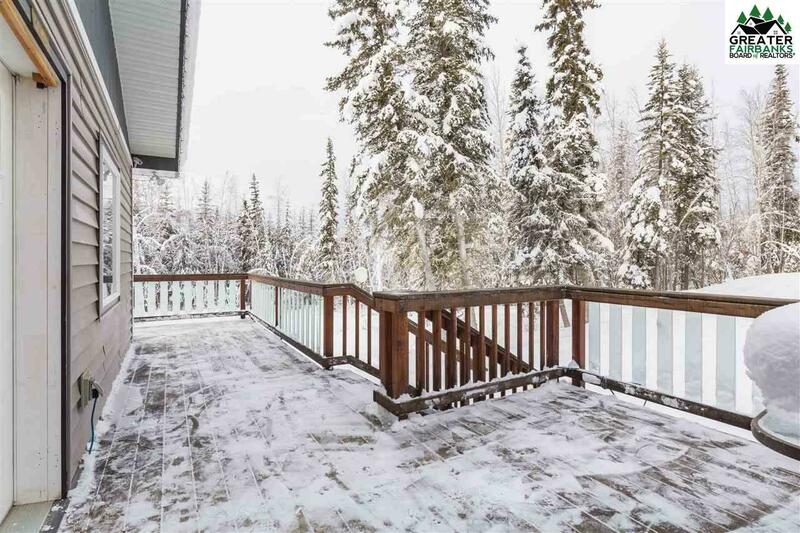 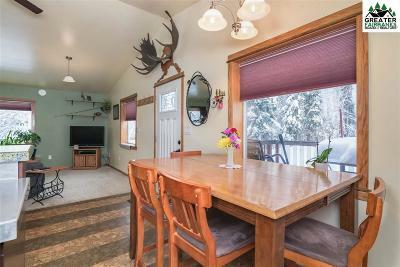 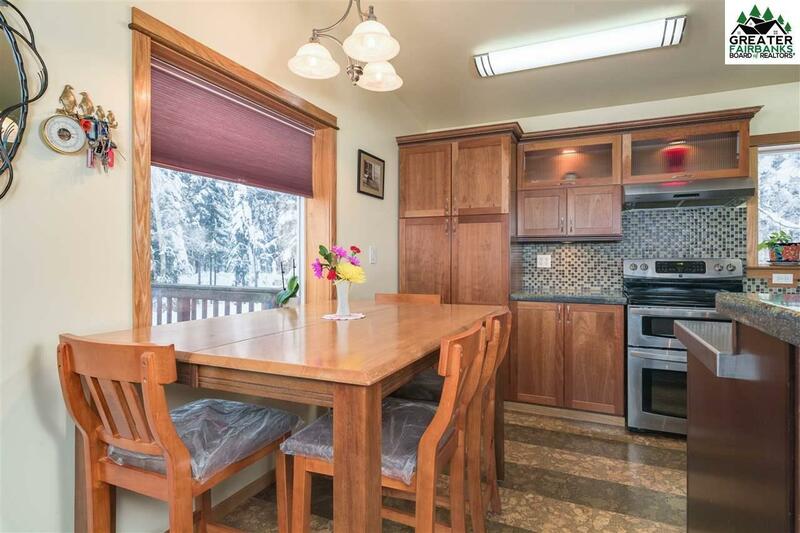 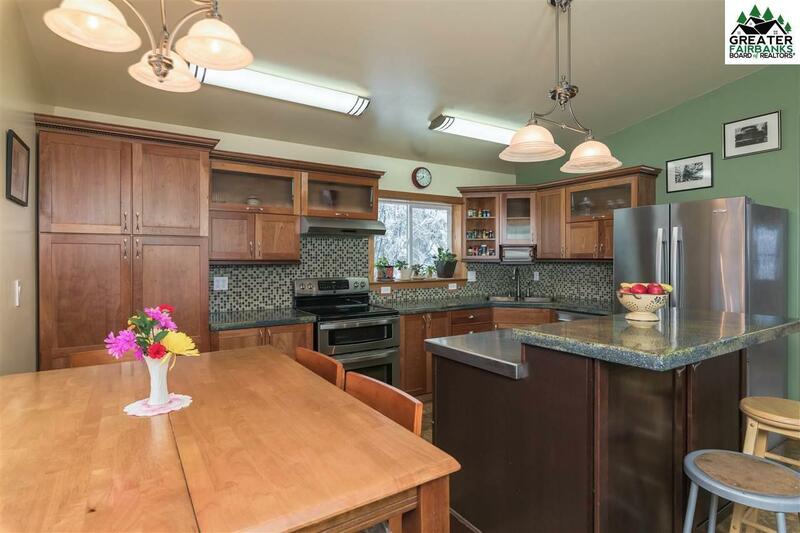 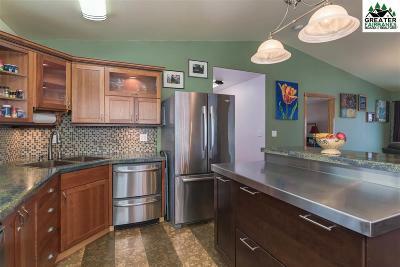 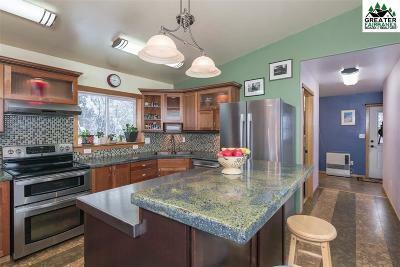 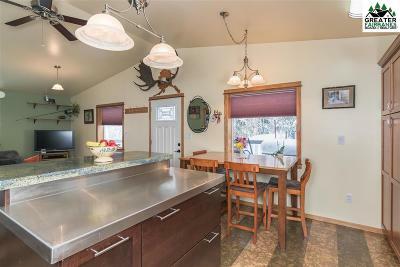 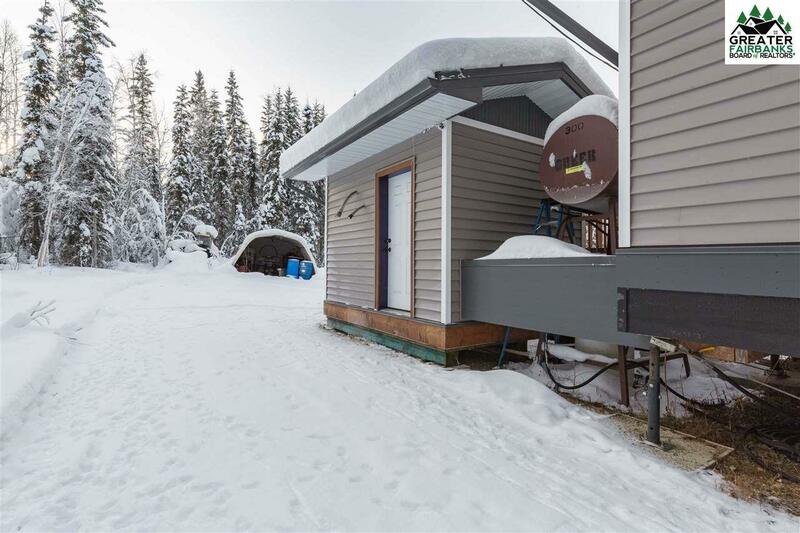 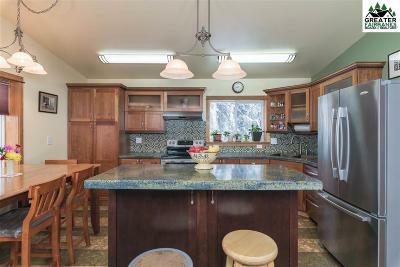 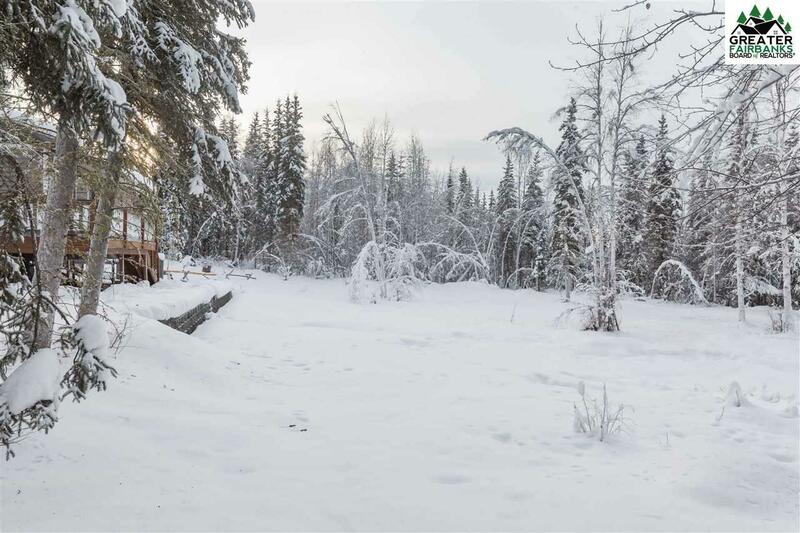 This secluded home is situated on just a little over 9 acres, 6-minute drive on Chena Hot Springs Road estimated at 4.3 mile CHSR, a lovely lot with a nice yard and deck for your outdoor activities. 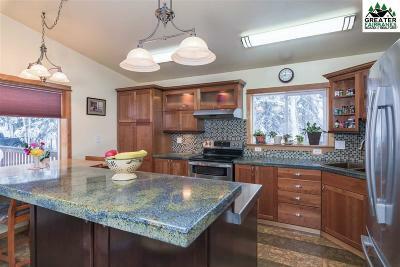 Inside you will find the kitchen and dinning area a striking cork flooring, stunning custom made cement counter-tops, tile back-splash to match, copper kitchen sink, rich cherry cabinets, under cabinet lighting, double oven range and double drawer dishwasher, stainless steel appliances. 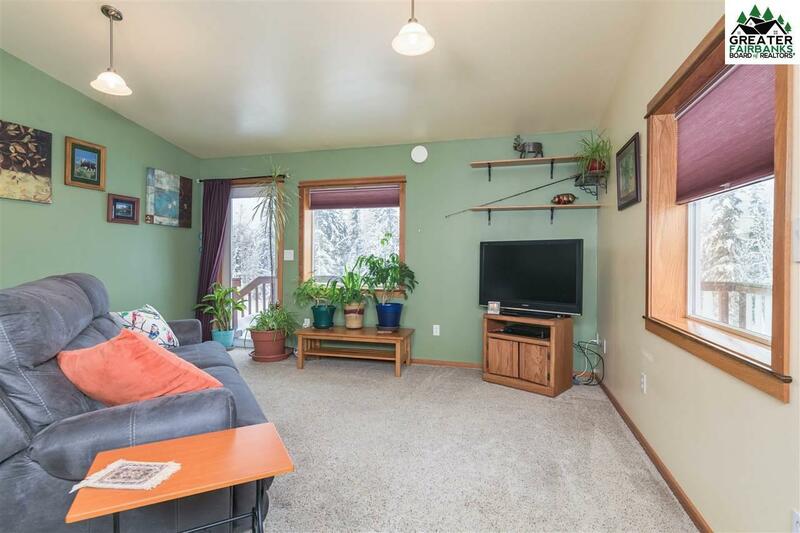 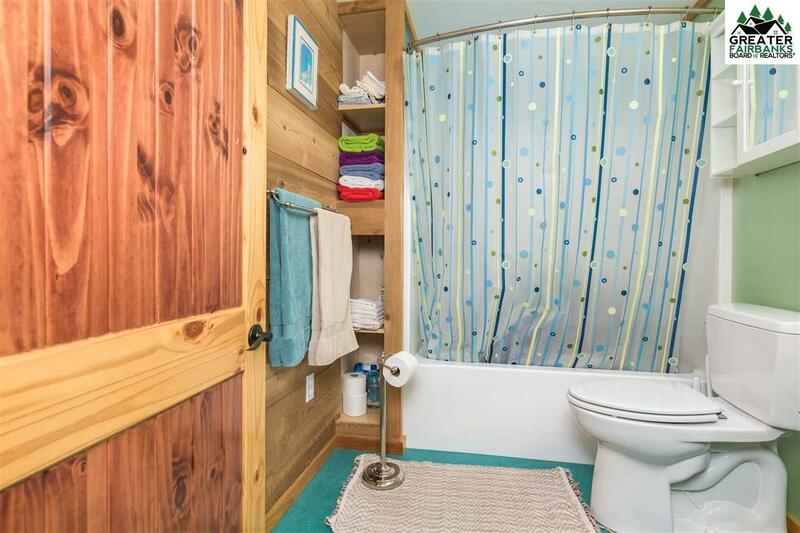 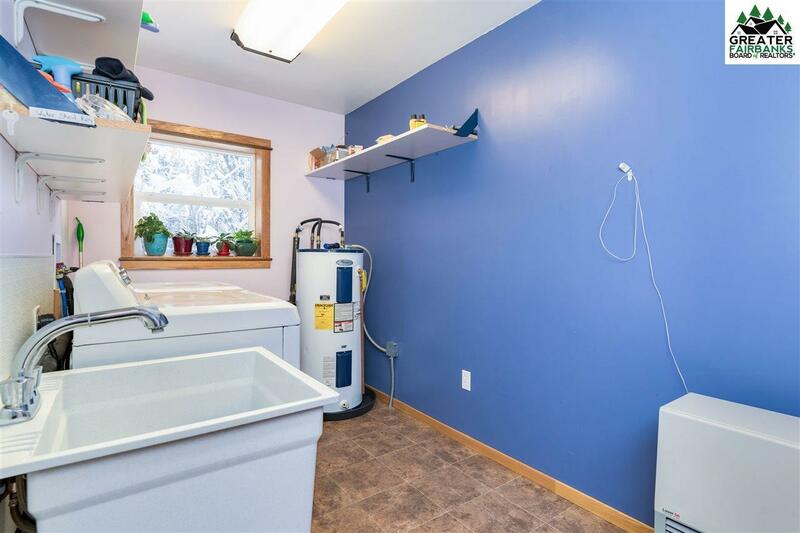 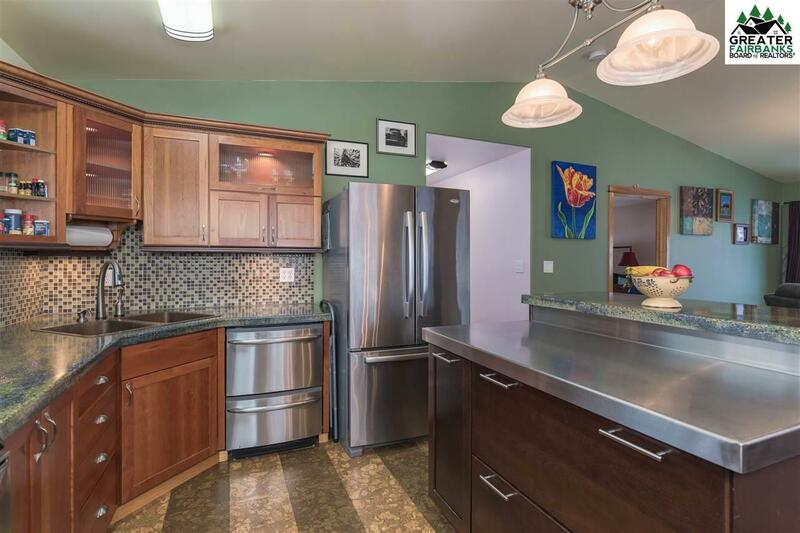 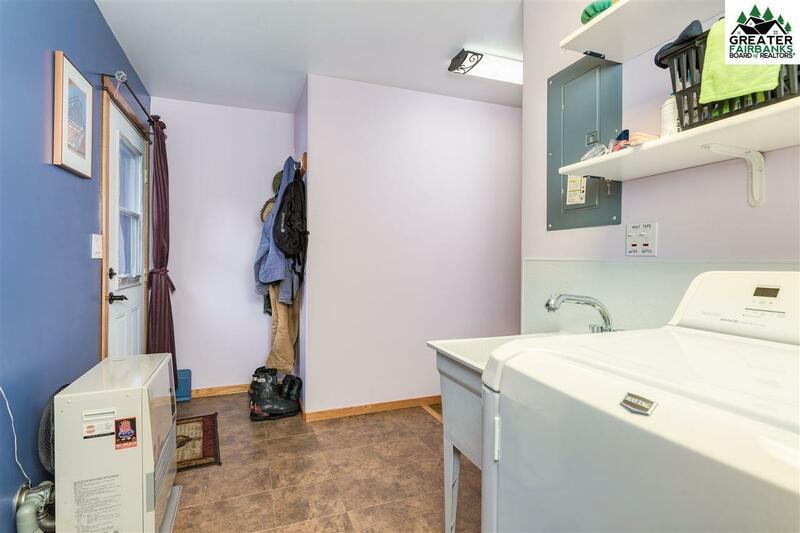 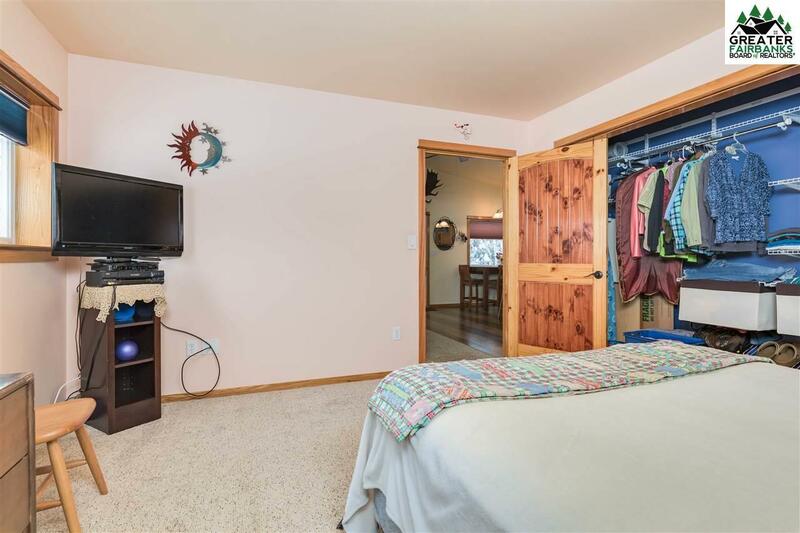 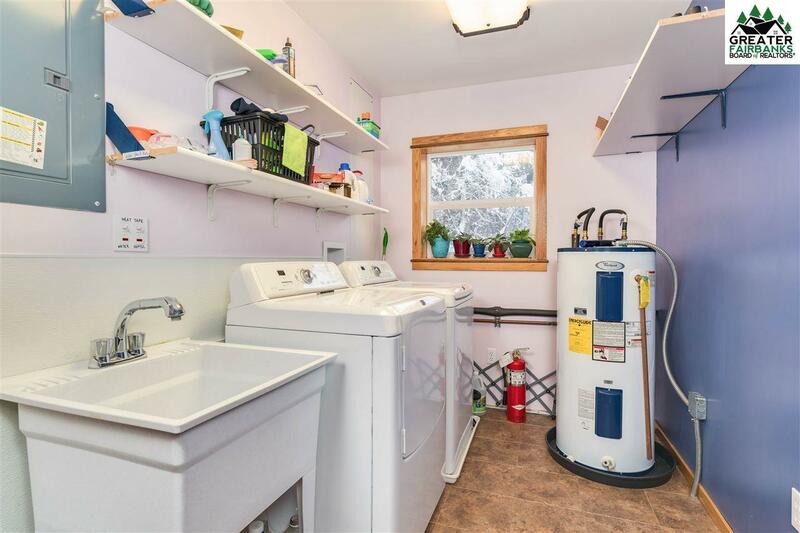 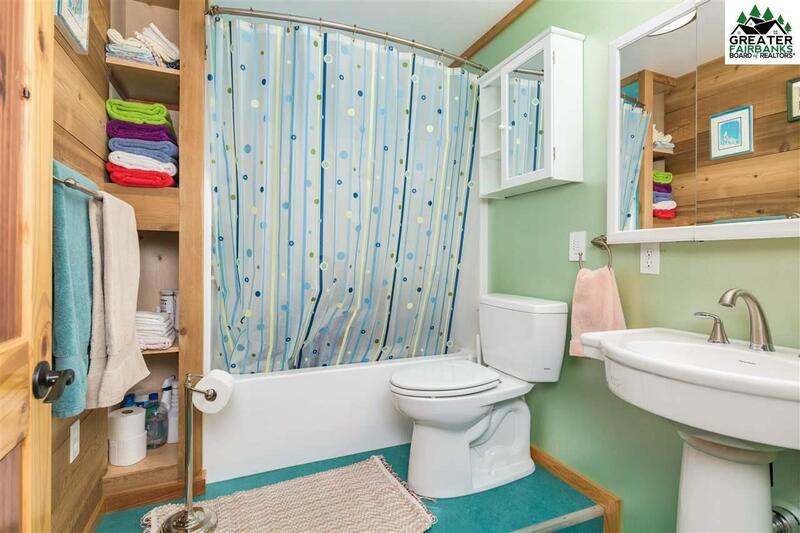 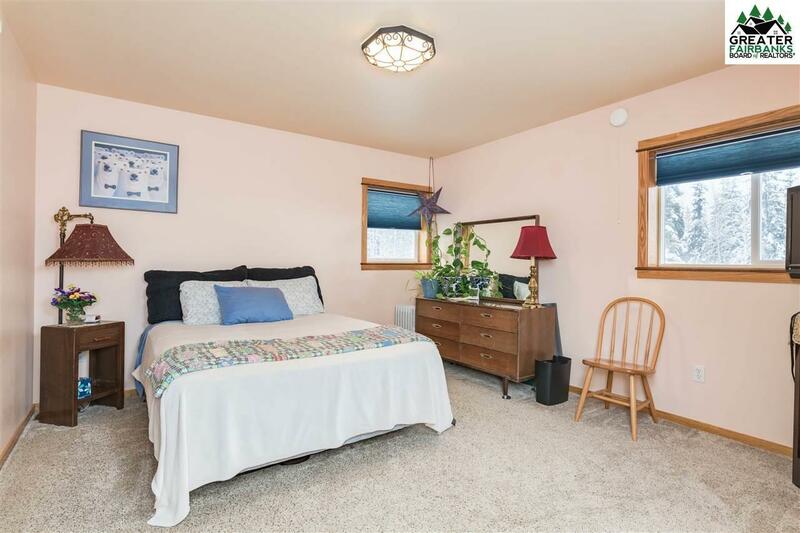 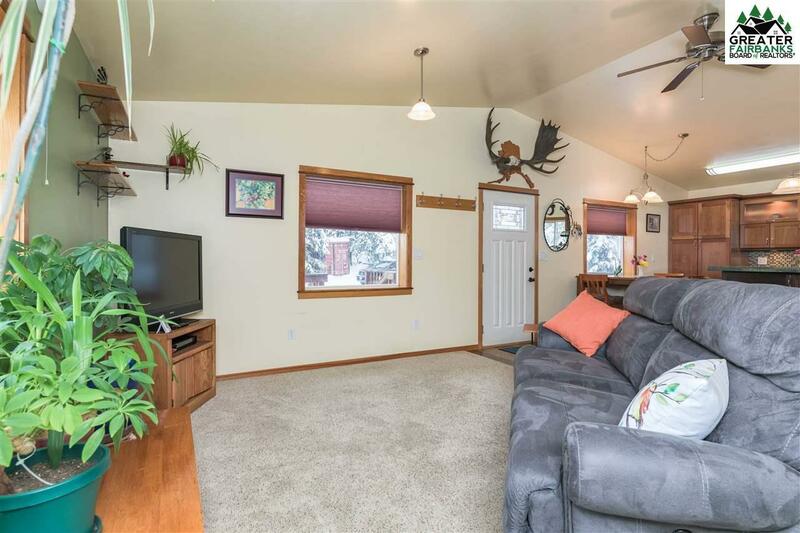 Super fuel efficient, one bedroom 1 bath raised ranch, also has a separate space for the laundry area, heated exterior building for the holding tank with great access.